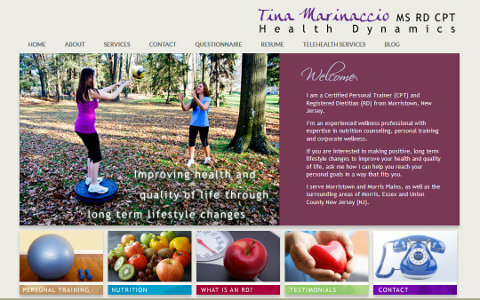 Both Personal Trainer and Dietician, wonderful Tina has skills and credentials to reckon with! A good example of converting an entirely static site to WordPress. Now the site is responsive to small devices and has content management.